A new game in the Steel Storm universe is being developed called Steel Storm A.M.M.O, this time developed by someone else and published by 'Kot in Action Creative Artel'...that's a mouthful. Quote We need Linux testers to do this. If you are interested, please PM me. Steel Storm: A.M.M.O. 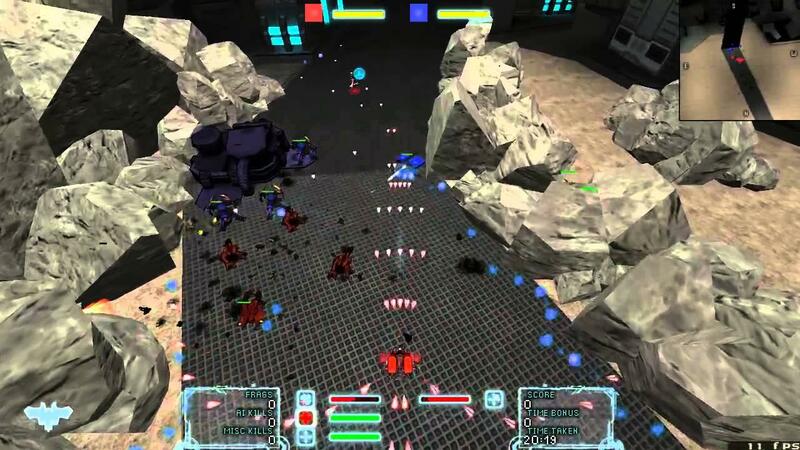 - Armored Mechanized Mobile Operations (or SS: AMMO in short) is a fast-paced competitive arena shoot-em-up. Set in the Steel Storm universe, and an updated Japanese anime-inspired sci-fi world, you will get to pick an avatar* to represent yourself as well as to choose a hovertank to do battle with. Get in your mobile armor or hovertank and join either the Royal Interstellar Armored Corp (RIAC) or Separatist Union (SU). Pick from a list of available battlefields* located across the Steel Storm universe, and prepare to engage your friends in fun and frantic MOBA-styled battlefests. Come form a brigade with your friends and achieve glory in battle today with Steel Storm: A.M.M.O.! Skill matters - become the best pilot! Interact with the development team and help improve the game! A MOBA with Steel Storm like gameplay? Yeah OK now I am interested! I would be interested in testing it. I enjoy Burning Retribution Good game! I think i made it in the beta..just gotta wait for it to come out. So what engine is this using? Quote from Kristian So what engine is this using? Looks very much like it is still the open-source DarkPlaces engine also used in Xonotic!